So, you decided to have your own blog? Or maybe you just started blogging. Great and congratulations colleague. But you don’t know what to expect and how much time you need to spend working on your blog so it will be successful. In this article, you will read honest and open answers to your questions. Read too: Tips for new bloggers! How to check the loading speed of your blog and other IT characteristics! Different people have very different reasons why they are blogging. For some people, it is just to show their point of view on a specific topic, for some other people, it is a sort of self-realising, and for others it is source of income – a business. Not important what is your reason to start blogging, the most important is that you actually work on it. Believe me, miracles will not happen. If you want to be successful in blogging, you should be better than average bloggers in that particular niche, and you should constantly work on it. Is blogging good for me? If you want to start your blog just for fun, I don’t see any reason to invest a lot of money in it. Of course, you can if you want, but the question is, do you really need to do it? Just write your content and enjoy your life. Actually, I know some bloggers who do not care so much about how many people are reading their articles. They are just writing and publishing it for their own self satisfaction or for fun. It is fine too, but if you want to attract readers and make money out of it, you need to do it a bit differently. A successful blogger is a blogger who gives any kind of benefit to people, and who is passionate about it. What does it mean? If you are a party person who is passionate about parties, and you know a lot about this topic, you can write about your experience. But instead of writing 20 articles only about the parties you attended without solving anybody’s problem, write about your experience along with solutions to problems you came across. People don’t have so much interest in reading articles just about your experience if you are not some celebrity and you are not solving their problems. Write about a list of the best parties in the city, or for example how to behave at parties and be cool, in the contest of solving somebody’s problems, and you will have a lot of readers. This was a very simple example, but you can write about anything. The key to become a successful blogger is to be a professional in the topic you are writing about. You need to share your honest thoughts and experience as an expert. Everyone is expert in something, including you. It can be your hobby, your work, your favorite sport, or anything you enjoy doing and you do not mind spending time doing it. Bloggers refer to it as a “niche”. Your blog can be in a small niche, or it can be in a popular and wide niche. Oh, this is very individual question. I would rather ask you: How much time are you ready to spend? And which results do you want to achieve? If you created your blog as a business, then treat it as your business. If you created it just for fun, then you can write and spend time on it as much as you would spend on a hobby. I keep repeating this every time to people who complain about their job as far as how much of their time it consumes. Somehow, people think that, if they start a blogging business, they will have a lot of free time and a very happy life. If you want to quit your job from 9 to 5 and start blogging, then be ready to start a business where you will work 24/7. But there is a very important difference, in your own business you will be self-motivated and you will have passion to do it 24/7. Actually, self-motivation is the best and the most productive motivation. Believe me, in the beginning, your blog will take a lot of your time, you need to learn a lot of stuff and implement it. When you will automate your blogging process, you will know more or less how long it takes to write a new post and to do other important things, it will start taking less time. In my case, it still takes a lot of my time, because I am continuously learning and starting something new: improving the blog, writing eBooks, currently I am working on my second eBook and I am learning about creating video courses. It is a never-ending process, but I enjoy it and I have passion to know more and more about it. I am sure you will have the same as soon as you will start seeing some results. The most important in blogging is consistence. It is unprofessional to post articles every second day, and then stop posting for a couple of weeks because you were busy, or just too lazy to create some new content. Better create some material in advance, for example ten posts, and post them consistently. For example one article per week, so you will have ready content for 10 weeks ahead and you will be constantly posting it at the same time of the week, for example every Monday at 10 am. In that case, your readers will get used to reading a new article every Monday. Your readers should know your publishing schedule. You can write it on your blog, on your professional social media profiles, or just do it consistently, so they will notice it alone. I wish you good luck with your blogging. I hope this article helped clarify what to expect from blogging, and how much effort you should be ready to make for it. Believe me, if you want to be successful in blogging, you will need to spend more time on learning than on writing new content. In the online world, everything is changing so fast that you need to continuously learn from other bloggers. You need to learn and test which tips work on your own blog and which don’t, in order to achieve the best results. Recently, I analysed the time is spend on blogging. And you know what? I was surprised with the results. 70% of my blogging time is spent on learning new stuff, trying it on my blog and analysing it. And just 30% of the time is spent on creating new posts and promoting them, as well as other daily blogging stuff. To be honest with you, as soon as I started my blog, I needed to spend more time on learning than the time I was spending when I was a student at the University, when I was writing my PhD thesis, and when I was working as a Professor at the university. Daily blogging tasks take more efforts, time and learning than any other tasks of my life. It is a kind of addiction where you don’t want to stop. Read too: How to check if your website has any malware or viruses and how to fix it! But I am very happy that I started my blog and that I am blogging now. I believe that, as soon as you start taking it seriously and start seeing the first results, you will start having the same addiction. Idea + knowledge + time + efforts = success. If you follow this formula, believe me, you will become a successful blogger. I will be very glad to answer all your questions and concerns, just share your questions, thoughts or suggestions in the comments below. I personally answer each and every comment in a timely matter. Please feel free to share this article with your friends and on your social media. You never know, maybe some of your friends need to read it right now. Thank you. ← Not everything that can be counted counts, and not everything that counts can be counted! 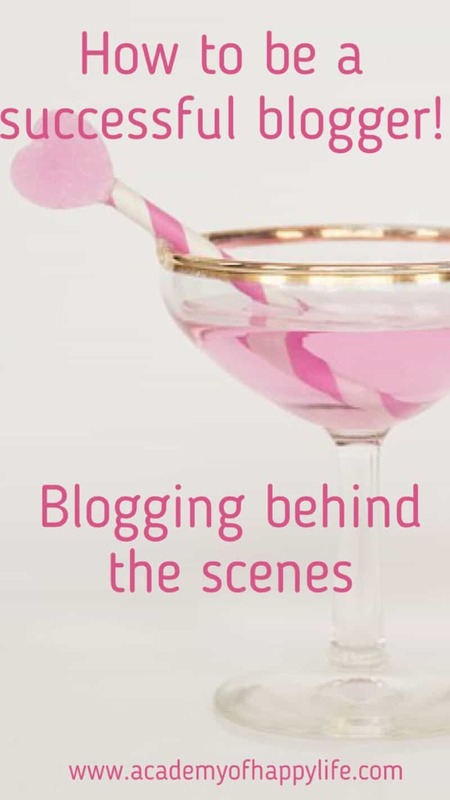 If only there was a way to lay out everything that it takes behind the scenes to be a blogger. WOW! Great tips and I can relate to. Thank you Rebecca! Totally agree with you. Unfortunately, most beginners don’t know what is waiting for them. I hope my experience will help them to be prepared more. A great article with beautiful tips. I can relate to a number of them especially the consistency one. Thank you Enele. I am glad that you like it! This is something I would have enjoyed months ago before I had actually started my blog, I really had no idea what I was getting myself into but wow this really lays it out simply. Now that I am a few months into blogging, I can really relate to this post and its true, from spending way more time than you imagined at first learning and how you grow with your blog. Lovely post, will be referring back! Thank you for your comment, Ashley.Oh yes, it takes a lot of time and effort. But the most important is not to give up, and you will see great results out of it! I like your website!! Well laid out and as a new blogger i love ❤️ to view other sites to get inspired! Thank you for sharing! Thank you for your comment, Vera! Good luck with your blogging! Thank you, Rawlings. To plan ahead really helps me too. Hello Joan! This is the hardest and the most actual question to every blogger. The most important tips are high-quality content, good promotion (paid and not paid) and consistency of publishing new posts. Nicely written with great advice! 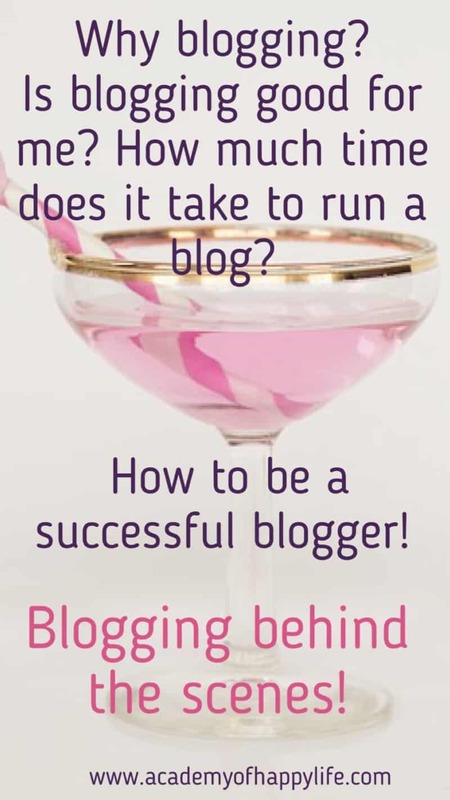 Blogging is definitely a big undertaking if you want to be successful! I think it helps to write about things you love, then it feels like a fun hobby! Totally agree with you, Becca. Actually, I am not sure if I would be able to write for a long time about some different topic. You definitely need to have passion, knowledge, and love for the topic you are writing about. This is such a good and interesting post! It resonates so much with me and why I started blogging and the time I’ve put into the blog! Totally agree with you, Julie! hii, I read and like your blog. I m new blogger. so your tips very useful for me. Thank you Durvas! I am glad to read such comments. Thank you for your comment Jem!